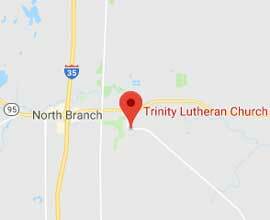 We welcome you to Trinity Lutheran Church! As you have questions about congregational life, opportunities to serve and the uniqueness of this faith community please contact the church staff or congregational leaders. We would consider it a privilege and honor to meet you and share in conversation. Periodically through the year we offer new partner classes which welcome and introduce newcomers to the faith community. If you are not currently on the congregation’s mailing list please contact us with your name, phone number, residential address, and e-mail. Trinity continues to be blessed by the energy, ideas, hopes and convictions of all the people who God is inviting into the Trinity faith community. Please know that you are welcome and we want to walk together in the Lord and in mission together. Please explore this website for more ways you can embrace and be embraced by the Trinity faith community.